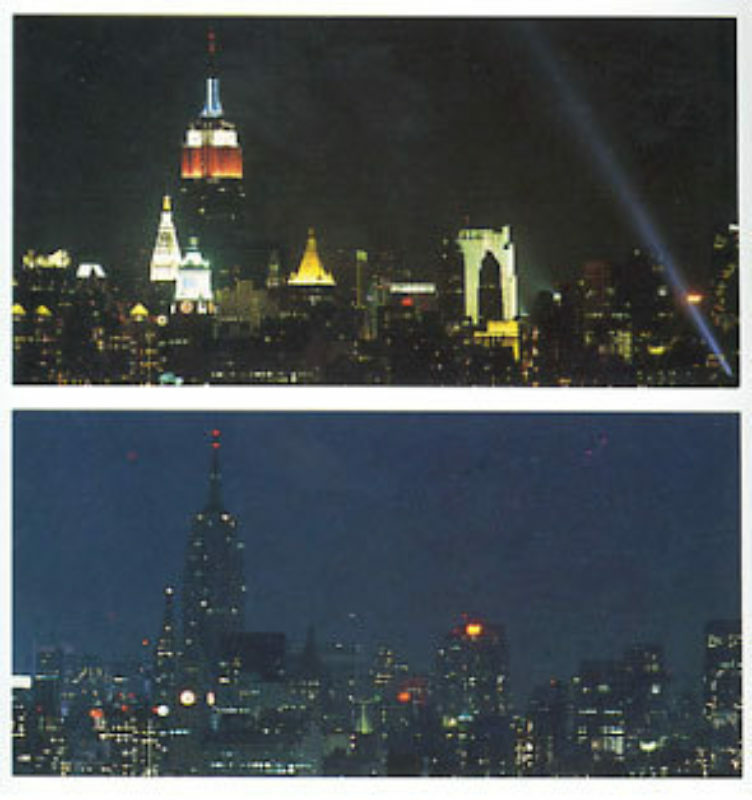 Night Without Light was launched by Visual AIDS in 1990, to coincide with Day Without Art on World AIDS Day. For fifteen minutes, from 7:45 PM - 8:00 PM on December 1st, the lights on Manhattan's historic buildings, bridges, monuments and Broadway's theatre marquees are turned off, including the Empire State Building, World Trade Center, Rockefeller Center, United Nations Building, St. Patrick's Cathedral, The Woolworth Building, New York Life Building, MetLife Tower, Trump Palace, Con Edison Building, Grand Central Terminal, Verrazano-Narrows Bridge, and George Washington Bridge among others - transforming the Manhattan skyline into a visual reminder of the impact of AIDS. In future years, San Francisco would join New York City and also darken its skyline by turning off the architectural illumination on key landmarks as a symbolic reflection for the lives lost due to HIV.